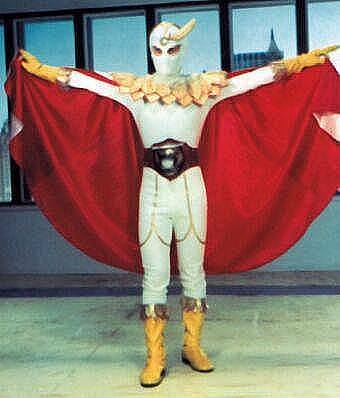 The Dragon Condor gives Mistsuya, Ishin the power to transform into the masked hero Condorman, with the words "Condor...Man". 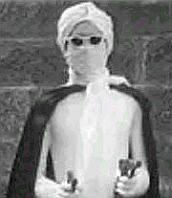 When monsters disguise themselves as humans Condorman can see through the disguises with "Condor Eye". 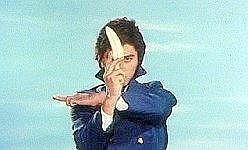 Mitsuya, Ishin can also use this power. 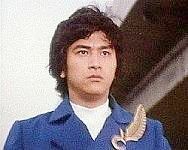 As either Mitsuya, Ishin or Condorman he can telepathically link himself with a bird so he can see what it sees. He also understands what birds say when they chirp. 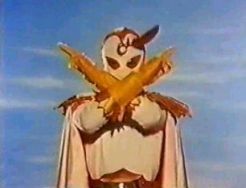 Condorman is armed with feather shapped throwing daggers, "Condor Arrows". 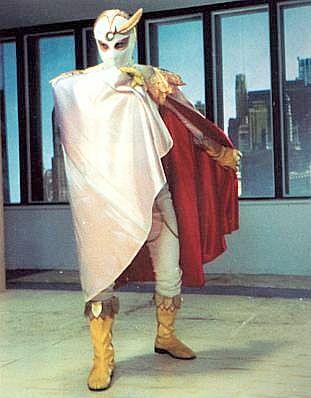 His monster killing powers are "Condor Hurricane" and "Shock Punch". 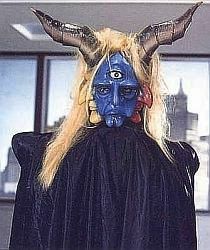 He can also summon lightning, "Condor Thunder". 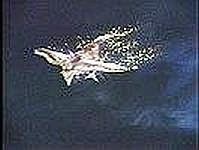 In the later episodes Condorman learns to fly and can actually transform into a dragon. In dragon form he has "Golden Beam" and "Dragon Fire". 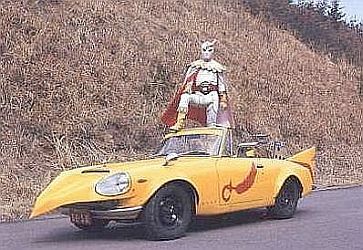 Condorman drove this great looking car, Mach Condor. 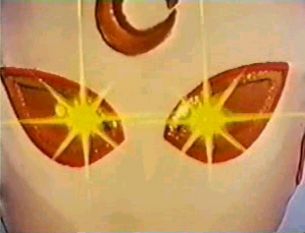 Condorman like Rainbowman has an older mentor with magical powers. 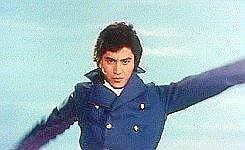 It is this man who (at the adult dragon's suggestion) casts the spell which merges the spirit of the baby dragon with the body of Mistsuya, Ishin. 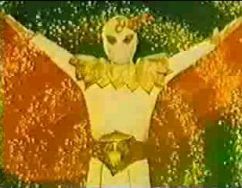 Condorman gives a group of children golden feather pins which they can use to summon him. 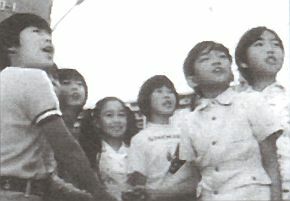 He calls this group "Condor Jr". 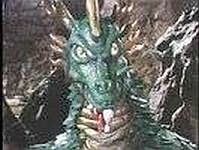 Condorman battles some really strange monsters. They represent human evils from littering to greed. Ikeda, Shunsuke (Ichiro in Kikaida 01) stars as Mitsuya, Ishin's older brother. 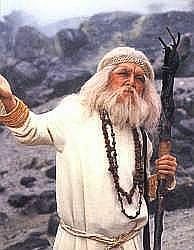 Izu, Hajime (Doctor Komyoji in Jinzo Ningen Kikaida) guest stars in episode 21. 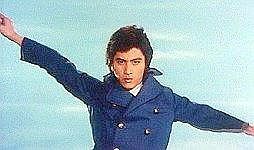 Seigi no Shinboru Kondoruman was created by Kawauchi, Kôhan the creator of Gekko Kamen (1958), Nana Iro Kamen (1959), Ai no Senshi Reinbooman (1972) and Hikari no Senshi Daiyamondo Ai (1973). 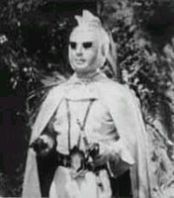 Seigi no Shinboru Kondoruman was one of the few series produced by Hirayama, Tôru which featured characters that were not created by Ishinomori, Shotaro. 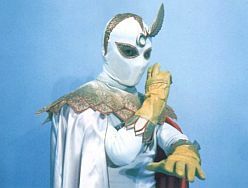 Like Rainbowman and Diamond Eye, Condorman was serial, episodes often ended on a cliffhanger. 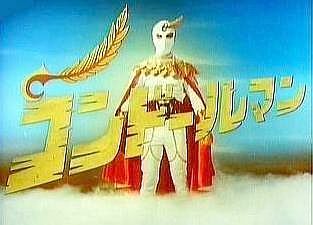 Condorman - Seigi no Shinboru © 1975 Toei Co., Ltd.